Diamond scatter ring: Stunning, platinum, wide ring, set with multiple diamonds in rub-over settings. We added small diamonds within the fine strands of platinum, for additional sparkle. 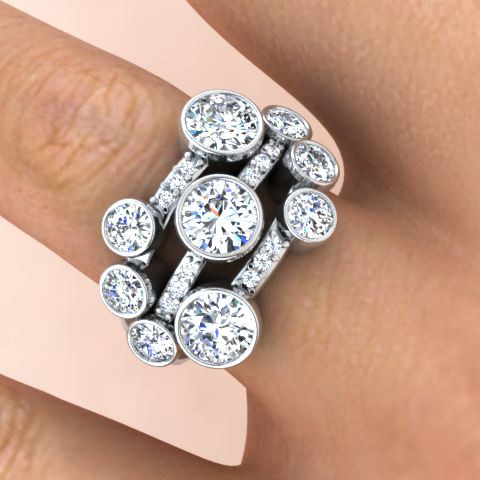 This is a unique ring, individually designed to use diamond sizes specified by our client. She wanted a ring that would serve as a wedding, engagement and eternity ring, all in one!